Coast Valley Moving & Storage is proud to be the moving company of choice for the many residents of San Clemente’s Forster Ranch community. Since our beginnings in 1972, we have upheld strong values of customer satisfaction and quality service. 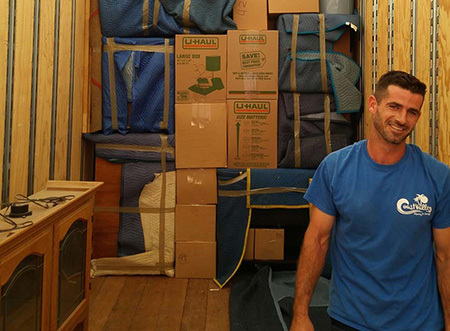 When you work with our San Clemente moving company, you can rest assured that your belongings are in good hands. As testament to our quality service, we have earned ProMover membership and are a proud agent for Wheaton World Wide Moving – one of the leading relocation and transportation companies in the industry. At Coast Valley Moving & Storage, we understand the stress that often accompanies a household move, and our professional residential movers work tirelessly to offer you the simple and stress-free relocation you deserve. From beginning to end, we work to ensure that your relocation is smooth and seamless. Our professional movers are trained to handle relocations of all sizes and scopes. Please call us to learn more about the services we can offer! From the very beginning, we handle your move with the utmost care and precision. All of our valued customers also are provided with a dedicated Move Consultant to help aid with the moving process and answer any questions along the way. Unlike other commercial and residential moving companies in San Clemente, we can also offer you employee relocation solutions as part of an office move or as a standalone service for your staff. For more information about Coast Valley Moving & Storage, call us toll-free to speak with one of our helpful Customer Support Specialists. You can also fill out our Quick Quote Form to receive your free, no-obligation moving estimate today!